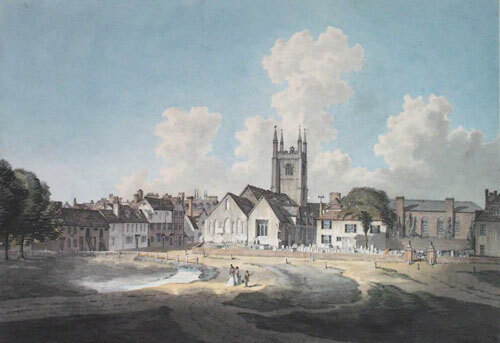 Caption: St Lawrence`s Church by George Samuel, c1795. One of the principal churches in Reading, St Lawrence`s was the parish church that served the eastern part of the town soon after the foundation of Reading Abbey. Samuel was a London based artist who mostly painted watercolour landscapes in the manner of Sandby.